Life hasn't slowed down for director F. Gary Gray in a while. 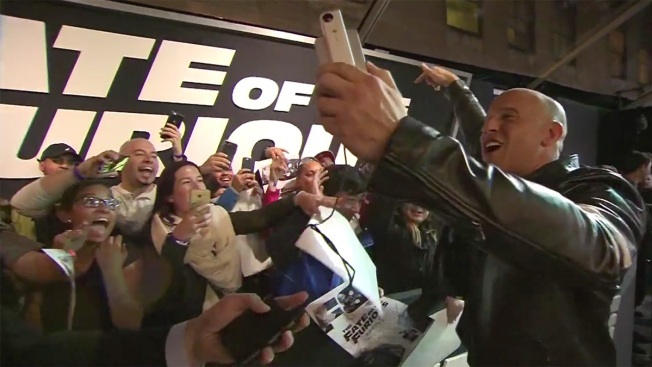 After a few years away from the business, the 25-year showbiz and music video veteran burst back into Hollywood's good graces with the critically acclaimed and money-making N.W.A biopic "Straight Outta Compton" in 2015 and then sped headfirst into perhaps the biggest challenge of his career: The eighth installment of the "Fast and the Furious" series, "The Fate of the Furious," out Friday. It made sense on the page. Gray had just come off of a very positive experience doing "Compton" with Universal Pictures, the studio behind the nearly $3.9 billion "Fast and the Furious" franchise, and he'd worked with most of the stars in the film before — Vin Diesel on "A Man Apart," Dwayne Johnson on "Be Cool," and Jason Statham and Charlize Theron on "The Italian Job." Plus, Gray likes to experiment in different genres. He lovingly calls his own filmography "schizophrenic." But he wasn't totally convinced. After all, "Furious" is a series that has already sent its LA street racers around the globe and featured cars skydiving out of planes and careening through two adjacent skyscrapers. And that was just in the last movie. Gravity is only a minor inconvenience in this world after all. Then Gray heard the pitch: Dom, Diesel's character, who has gone to the ends of the earth to keep his makeshift family together, goes rogue. "I thought, 'Wow that's a brilliant idea. That's genius. I'm listening,'" Gray said. "We started to talk about where the story goes, you take the audience around the world, to Cuba, to Iceland to New York and Germany and Russia and the ideas of how we would cast and populate this movie, I thought, 'OK this is going to be great. I'm in.'" While many things in a well-oiled franchise like "Furious" are predetermined, Gray was able to put his ideas into the film. Cuba had been set as a location already, for instance, but Gray used it to do something that he found fans of the series desperately wanted: Take the characters back to their roots with a good old street race. It was unlike anything he'd ever done before. And while "The Italian Job" was a car movie of sorts, Gray calls that film's Mini Coopers a "cute and fun snack" compared to the "feast on steroids" that is "The Fate of the Furious," with its self-driving cars, vintage cars, exotic cars, submarines, tanks, heat-seeking missiles and drowning Lamborghinis. It's not surprising that he describes it as a "tornado." That tornado is why he's barely had a moment to relish in the success of "Straight Outta Compton," the effects of which are still being seen and realized as the months and years go by. The $28 million film earned over $200 million worldwide and became a cultural touchpoint as the #BlackLivesMatter moment grew and #OscarsSoWhite persisted. Not only that, now the aftermath of its success can be seen in the theaters. "Get Out" director Jordan Peele even recently credited "Straight Outta Compton" for changing the game in Hollywood in demythologizing the insidious but lingering idea that black stars who aren't Will Smith or Denzel Washington can't open movies, or earn money overseas. "That was a signal to Hollywood that, 'Look, it's not that people are unwilling to see movies with black stars, it's that we're not giving black voices enough of a platform to make the quality material that will travel overseas,'" Peele told The Associated Press recently. "An entertaining movie is an entertaining movie." Gray was floored by Peele's claim. "Wow, that's a compliment," Gray said. Yet the biggest personal change for the 47-year-old filmmaker is that he can't go to a gas station without getting recognized as the "Compton" director. But he does know that things are evolving in Hollywood, albeit slowly, for directors and casts of color. "There's a shift in the business that is happening and I think that 'Compton' is a spoke in the wheel of progress. I'm glad to have been part of that," Gray said. "We can't take responsibility for the full shift, but I know that in its own tiny little way that there's been a shift and to have a tiny little movie like 'Get Out' do what it's doing? I'm over the moon about that. This time three years ago, maybe it would be different." As for what's next, Gray's still fully in "Fastland," as he calls it. "It's hard to predict what's going to happen next," he said, without comment about whether he'll be involved in future "Furious" films. "I jump from genre to genre to challenge myself. It just depends on what touches me next." Until then: A well-deserved pit stop.